Category: Any Category Civic & Social Civic/Social Organ Employment Serv. Non-Profit Org. 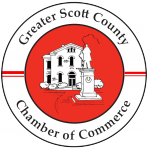 Craig Park-Scottsburg Senior Housing, Inc.
Scott County Economic Development Corp., Inc.